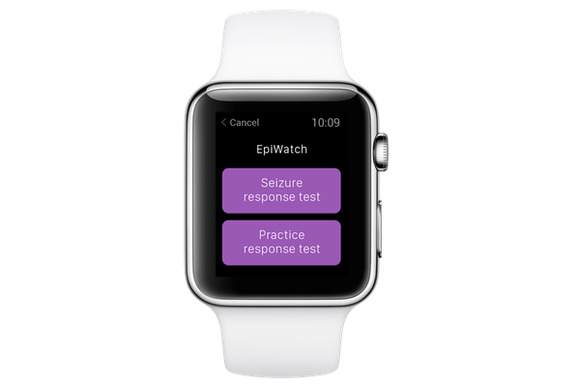 The EpiWatch app from Johns Hopkins researchers uses the watch's sensors to monitor patients with epilepsy. Apple made it really easy for doctors to study patients with the open-sourced ResearchKit framework, which lets researchers create health apps for the iPhone. Now researchers are taking advantage of the Apple Watch’s sensors to get even more data, starting with Johns Hopkins’s new Watch app for epilepsy patients. 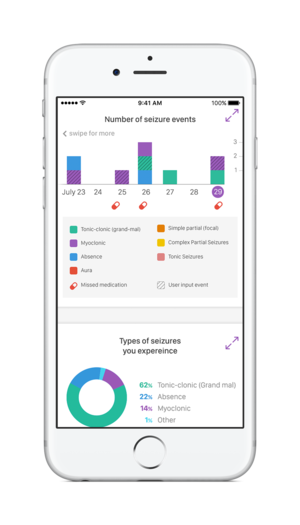 EpiWatch is the appropriately named new app from the institute’s neurology researchers, which lets people living with epilepsy track their seizures in real time before, during, and after they hit. For patients who experience an aura before their seizures, launching EpiWatch from a complication on the watch face at the first sign of that warning signal will record movements, including falls, and heart rate using the watch’s sensors. The app will also ask patients to play a memory game during the seizure, if possible, to assess cognitive responsiveness. This is the first ResearchKit app developed for Apple Watch. It’s unclear how many watches Apple has sold, and there’s no way to tell how many of those watch buyers also have epilepsy, but Johns Hopkins researcher Nathan Crone, an associate professor of neurology in the School of Medicine, said the EpiWatch app will reach “orders of magnitude above” the audience a typical epilepsy study would. Even if just a few thousand patients participated by tracking their seizures with the app, Johns Hopkins would have enough data to develop a seizure-tracking algorithm that could push out alerts when the watch senses an onset seizure. If the seizure is severe, the app could send notifications to caregivers or family members. Patients can show the EpiWatch dashboard on the iPhone to their doctors. That technology is a year or two away, depending on how much data Johns Hopkins can collect from EpiWatch. But the app is still useful for the patients who are participating in the study. There’s a daily journaling feature so people can track their medication intake, seizure severity, triggers, and more. Doctors can take a look at that log and reassess medication dosages or make other recommendations. More than 2.5 million Americans have epilepsy, and 40 percent see auras before their seizures. If a fraction of those patients use EpiWatch to track their seizures as they happen, everyone living with epilepsy stands to benefit from the findings that result. That’s exactly what Apple had in mind when it turned your iPhone—and now the Apple Watch—into a medical research tool.